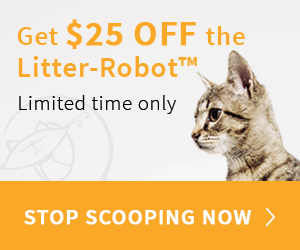 True ‘cat people’ are all guilty of the same thing. We stop and take notice of every cat we see when we’re away from home. 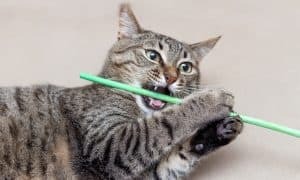 That kitty that darts across the street, the one that is lazily lounging on a stoop at the same time every day, and even the neighbor’s cats who pop their faces through bent mini-blinds to watch you leave in the morning. 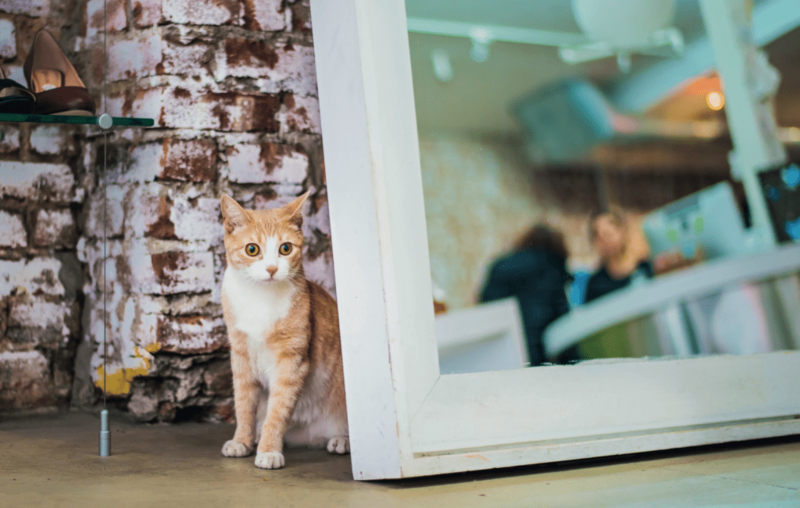 From time to time, you’re lucky enough to come across a shop cat – a kitty who lives in a business or store. 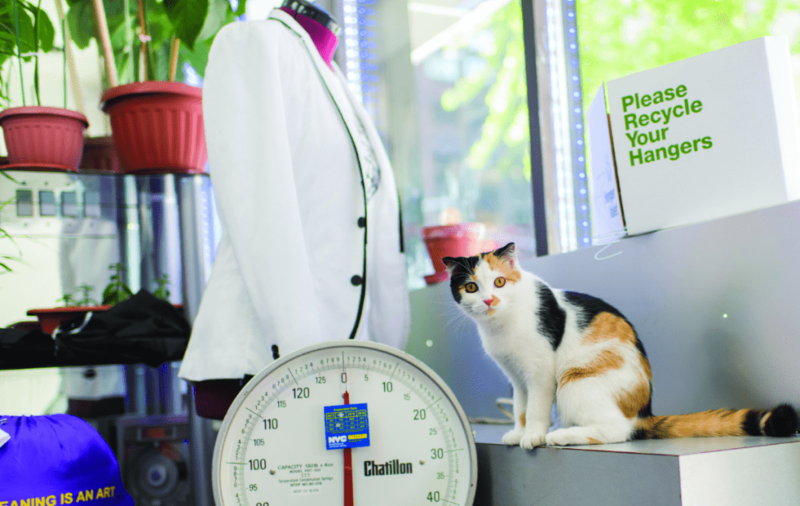 While rare in most of the country, it turns out shop cats are quite common in New York City! But, don’t feel sorry for them. These cats aren’t neglected. 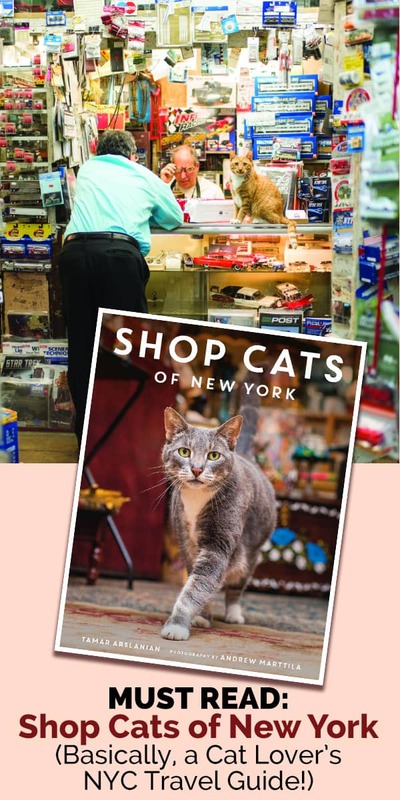 Popular cat blogger, Tamar Arslanian in her new book, Shop Cats of New York, introduces us to pages and pages of some of New York’s favorite felines and their stories. 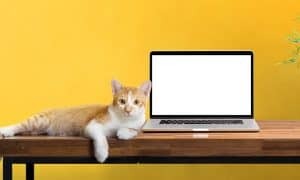 You’ll meet 40 shop cats, including Matilda, the cat who basically runs the Algonquin Hotel; Charlie, the ‘copy cat’ who lives and works at Park Slope Copy Shop in Brooklyn; and Allegra, who lives at the C.O. 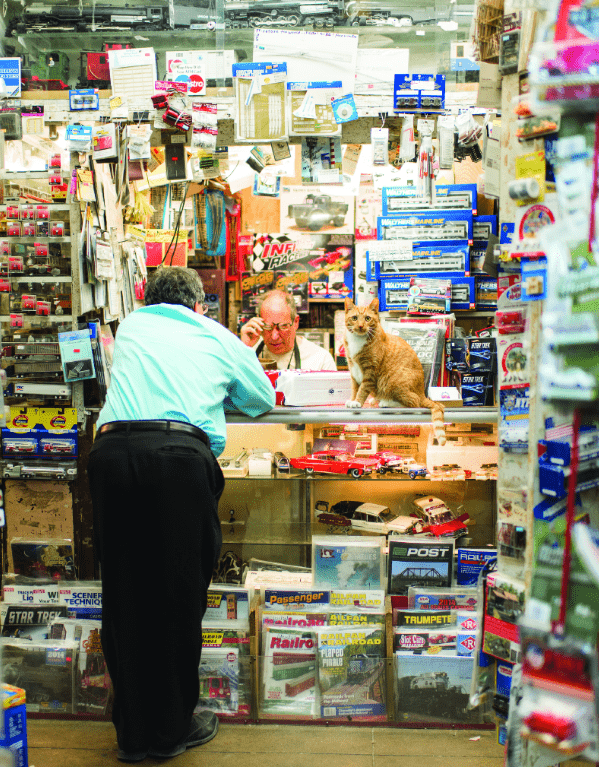 Bigelow drugstore – named after the allergy medicine because ironically, the pharmacist and owner is allergic to cats! 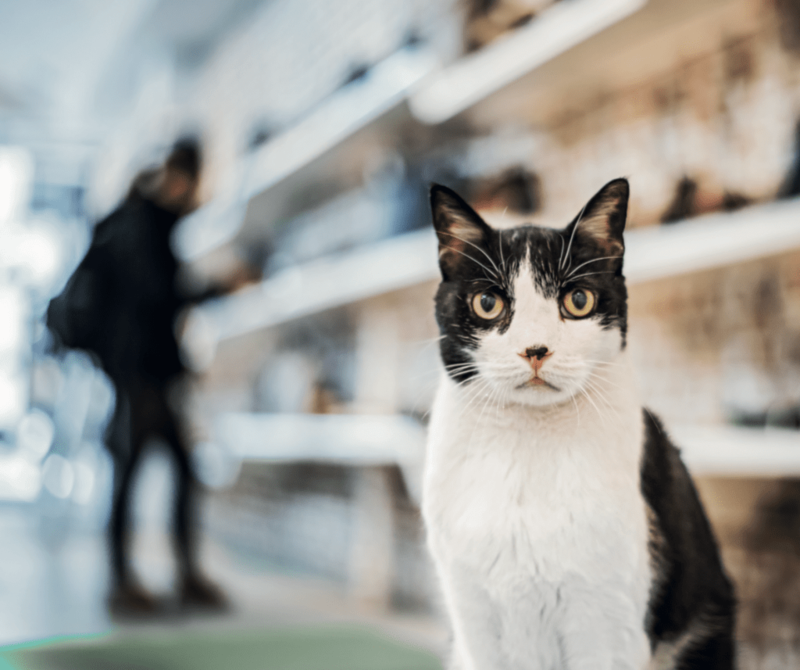 In Shop Cats of New York, Arslanian shows us how these cats are not only well-cared for, but extremely loved by the shopkeepers but also by their clientele who regularly visit and bring them toys and treats. 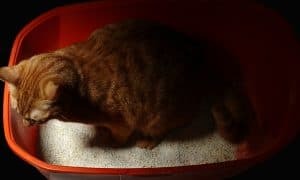 Beautifully captured by well-known cat photographer Andrew Marttila, you’ll really get a glimpse into the lives of New York’s furriest friends. Moo Shoes, a vegan shoe store owned by two vegan sisters, Erica and Sara, has a long history of store cats. One of them, Bowery, was a local celebrity with a large and loyal following whose likeness graces tote bags for sale to this day. The irony of obligate carnivores in a vegan store was not lost on me and is something with which Erica struggles. “Yes, of course it is a bit of an inner conflict . . . so the least we can do is provide shelter and care for them.” But customers don’t make the connection, or seem to mind if they do. Currently, the store is home to two cats, Marlow and Georgie. Marlow, the black and white senior resident, has been described as “statuesque” and “distinguished,” and while both are true, I’d add “crotchety” to the list. In his defense, this is a trait he’s earned a right to with age. Georgie, a ginger kitten barely a year old, is the latest Moo Shoes addition. And while cute, she may well be the source of Marlow’s somewhat sour temperament. Given her youth, her inability to stay put for more than a few seconds at a time comes with the territory. She doesn’t walk or prance, but bounces from one place to another. Several foster cats were auditioned before one was found that Marlow could tolerate. Now available on Amazon or in your favorite book store, Shop Cats of New York is a must-have book for anyone who loves cats or New York City. A stunning full-color collection that features New York’s iconic felines and the stories behind them. Cultivated by celebrated cat blogger Tamar Arslanian. 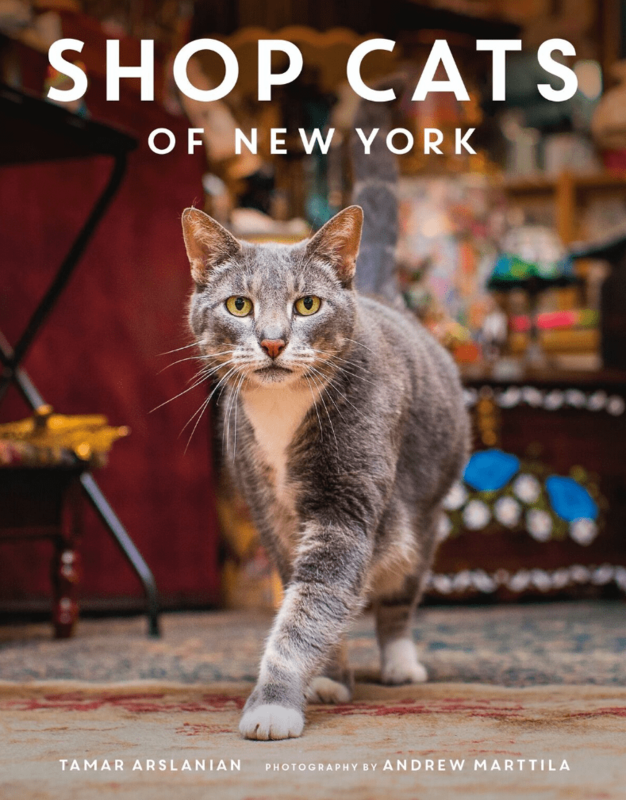 With photographer Andrew Marttila’s astute photos to compliment the felines’ tales, this book is a must-have for every cat and Big Apple lover.